In BioBoost triple helix partners from the Netherlands, Belgium and the United Kingdom work together to stimulate the development of a biobased economy in horticulture. BioBoost is a cooperation comprising 9 partners from the Netherlands, United Kingdom and Belgium. Leading partner for the project is the municipality of Westland (NL). The other partners are: Catholic University of Belgium (Vives-BE), Institute for Agricultural and Fisheries Research (ILVO-BE), Centre of Expertise for Plant Compounds (Kenniscentrum Plantenstoffen-NL), National Institute of Agricultural Botany (NIAB -UK), Inagro (BE), Tomabel (BE), Comgoed (NL), Sustainable Protein (NL) and Epping Forrest District Council (UK). Westland, the world horticulture center and the most influential player in Greenport, characterized by innovation, sustainability and entrepreneurship. The latest innovations and developments in sustainable technology, (international) trade, energy, food and water come from here. Epping Forest District Council (EFDC) is a local authority situated in the Lea Valley in Essex. The area has the largest concentration of glasshouse industry in the UK. ILVO stands for multidisciplinary, independent research and specialised service provision in all fields related to agriculture, fisheries and food in Flanders. ILVO, an internationally recognised scientific institute, is part of the Government of Flanders. 'The Centre of Expertise for Plant Compounds initiates and facilitates the development of new commercial applications for plant compounds in various markets. Inagro, research and advice serves the agricultural and horticultural sector. Within its own optimised professional research infrastructure, Inagro's scientific and technical teams devise farming and cultivation techniques ready for practical use. NIAB is a major international centre for plant research, crop evaluation and agronomy — a unique national resource, with nearly 100 years of experience in the agricultural horticultural and food sectors and an internationally recognised reputation for independence, innovation and integrity. 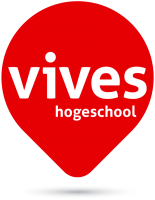 VIVES is a University College located in West-Flanders (BELGIUM). It has 6 innovative campuses, 6 interesting fields of study, 6 centres of expertise, 1,250 motivated employees, +12,500 students, 1,000 bachelor’s dissertations annually, on assignment of the field, +100 current research projects & contracts, +150 researchers, +7.5 million euros in turnover in research and services. 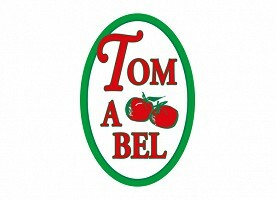 In 1996 Tomabel is founded as a quality label for tomatoes and has become a familiar-sounding name for high-quality fruits and vegetables. The quality label Tomabel came in response to the large amount of bulk products that were marketed at that time. Comgoed Biomass BV is located in Dirksland (Zuid-Holland-NL) and is active in the collection and processing of green waste streams. 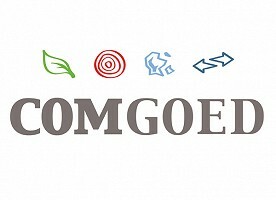 Comgoed Biomass provides three types of biomass: wood pellets, wood chips and shredded green. Clients include various industrial biomass power plants, but also customers with semi-industrial biomass plants in use such as farmers, gardeners, swimming pools, saunas, schools and SMEs. 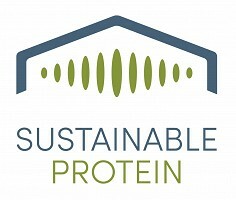 Sustainable Protein BV is a company dedicated to develop, build and operate protein plants in the Benelux. The Sustainable Protein team is specialized in developing projects with a sustainable focus in the circular economy. Over the past decade, the team has focused on the environmental sectors and developed and invested into various waste to energy as well as biomass production and trading operations.